New Plymouth Injury Safe's Programme Manager Alisha Stone, is now a trained Lifekeeper! 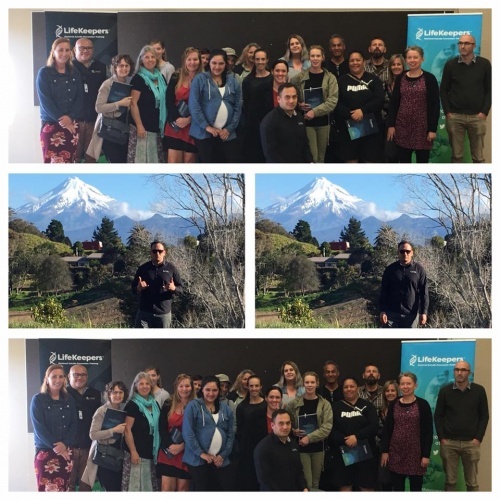 Alisha attended the recent LIfekeepers Training here in New Plymouth, facilitated by national wellbeing organisation Le Va.
Everyone has a role to play in preventing suicide. "We can all learn how to spot when someone is at risk and be ready to connect with C.A.R.E." Talking responsibly about suicide can help people at risk. For example - 'it is a myth that asking about suicide might put the idea in their head to try it. People who have felt suicidal are often relieved to be able to talk about wha tthey are experiencing. Talking about suicide in a responsible way and not juding others can help break down stigma, and support suicidal peple to open up and seek help"
Responding to risk factors and enhancing protective factors helps prevent suicide. Protective factors are characteristics or events that keep us well and and reduce the likelihood of suicide. These include responsible media reporting, access to appropriate healthcare and education, community and social connectedness, support and connection with friends and whanau, a safe living environment, a sense of cultural identity and/or spirituality, problem solving skills and a sense of meaning and purpose in life. Most risk factors are in essence, the opposite of these protective factors. 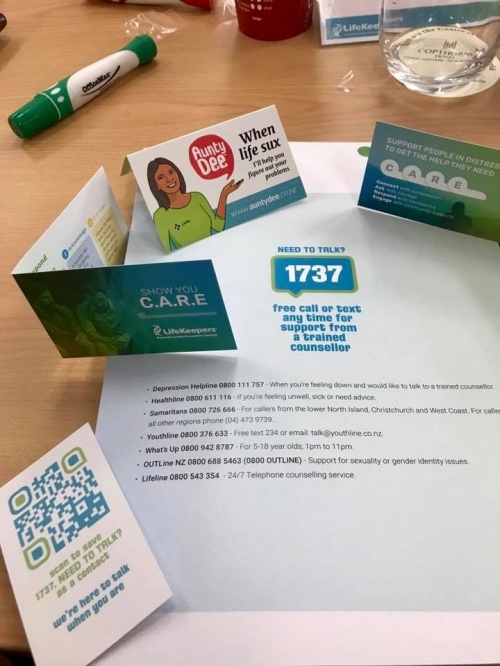 The Lifekeepers training also examines the warning signs as well as understanding risk, alongside the tools on how to intervene with courage using the concepts of the C.A.R.E model detailed above.